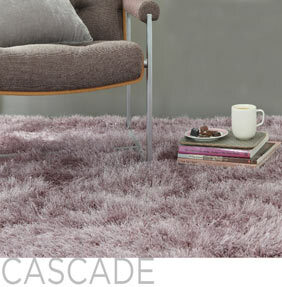 Cascade shaggy rugs radiate luxurious texture and quality in a big way. The dual thick and fine pile construction gives both a chunky texture and a glossy shine. The deep 7cm pile is ultra long and soft whilst the dense weave gives comfort and longevity. Cascade rugs are available in 15 earthy and modern colours. Each colour is available in seven sizes including a large room-size rug and a circle. Bespoke made to measure sizes are available to order.